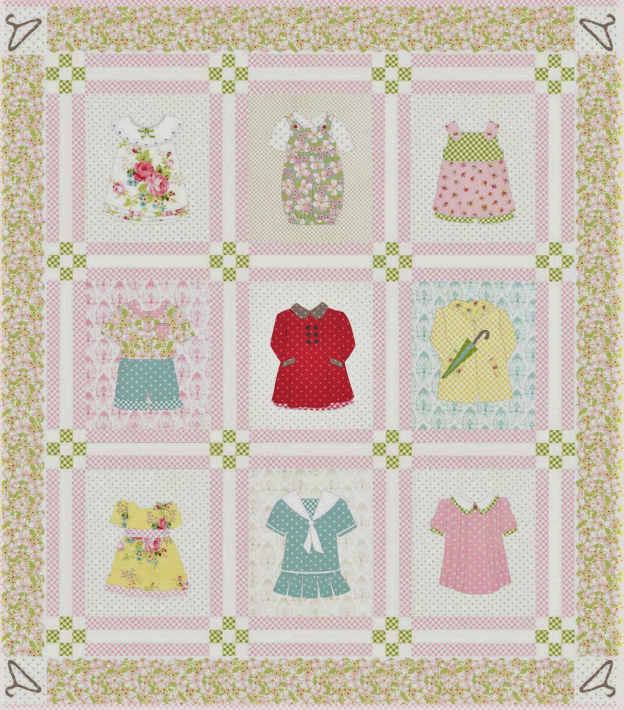 Quilt Size: 50" x 56"
Kit includes fabric for the quilt top designed from the Amberley fabric collection by Brenda Riddle for Moda, plus binding, embroidery floss, buttons and Betsy's Closet pattern. Backing consists of 3.40 meters of a co-ordinating fabric. Batting consists of 1.55 meters of 100% cotton Hobbs batting.